Jonathan Newell examines the use of vibration reference sources to take the gambling out of ensuring the measurement chain is providing accurate readings. Vibration is such an important measurement in determining system health as part of condition monitoring that maintaining its accuracy is paramount for recognising changes in vibration characteristics and avoiding expensive failures in machines, eliminating hazards and reducing the likelihood of excessive energy bills. But what if the measurement process itself starts to fail? Like all electro-mechanical systems, the sensors, cable connections and data acquisition systems themselves can experience installation errors, reliability issues and the possibility of drifts in accuracy that can lead to erroneous data. Vibration is a good indicator of condition on many industrial systems that have rotating parts such as pumps, fans, motors, compressors and gearboxes. By permanently installing accelerometers on machine casings and bearing housings, process controllers can have access to information processed from a data acquisition system which detects any drift in expected vibration levels. By acting on this drift, maintenance can be performed on the machine in a cost effective way which exploits planned downtime and could mean that only routine repairs such as bearing replacement are carried out rather than more expensive replacement of assemblies which have been damaged by a machine failure. The advantages of condition based machine maintenance are well documented, especially with respect to more expensive and complex plant and machinery. By predicting failure rather than reacting to it, the company not only benefits from reduced repair costs but could also preserve its reputation through the avoidance of extended and unexpected outages and through meeting health and safety expectations by avoiding potentially dangerous failures. With repair costs in industrial environments being potentially very large, a lot of importance is placed on the integrity of the measurement process so the instruments used need to undergo regular planned calibration. However, the fact that an accelerometer was calibrated three months ago doesn’t necessarily mean that the current detection of vibration drift in a machine indicates that repairs are necessary –  it might just be a rogue reading. The accelerometer is just one part of a system involving connectors, cables and data acquisition equipment which could introduce spurious errors at any point in the chain. To establish trust in a reading, calibrated reference sources are increasingly being used to verify the chain of measurement. Such reference sources can be used for frequent accelerometer checks between calibrations and also to establish trust in the chain of measurement if a reading is received that indicates that an expensive repair is necessary. Using reference sources doesn’t replace the need for calibration of course. Such instruments are not calibration standard and so accelerometers and sensors still need to be subjected to an adequate calibration regime. An example of a reference source is the ReferenceMate handheld shaker, a 1g vibration reference source from Meggitt. The device is designed to provide a 1g vibration output to the accelerometer it’s attached to in order to either troubleshoot sensor matrices or verify the accuracy of a single measurement channel. 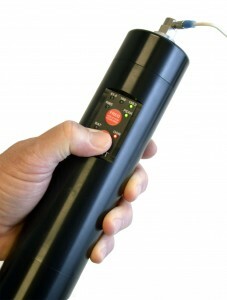 The shaker is designed to provide maximum flexibility for the test engineer, enabling its use for imperial or metric measurements and allowing it to be used with a wide range of accelerometer mounting configurations for sensors weighing up to a fairly robust 250g, the kind of sensor typically used on larger industrial pumps. Sensors larger than 250g aren’t catered for and aren’t widely used since the weight of such heavy accelerometers have a tendency to bias results. 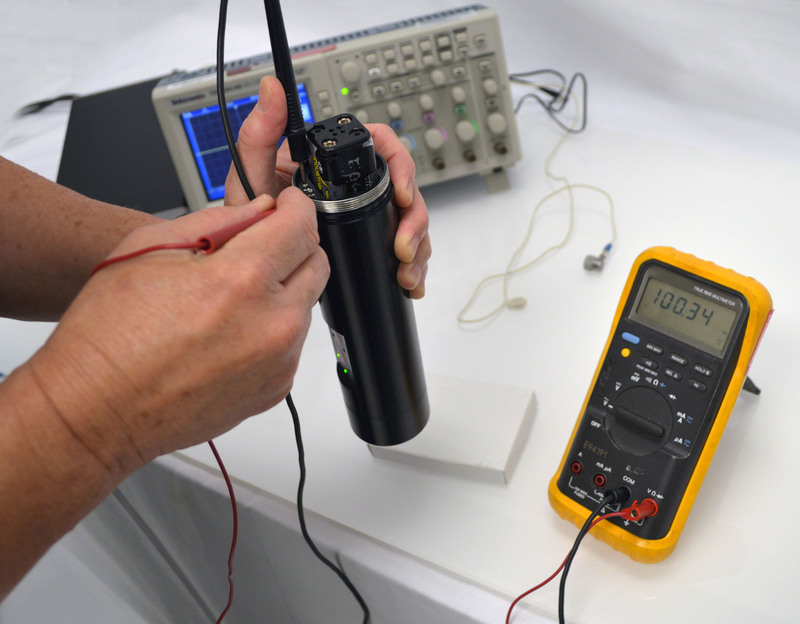 With a portable reference source, the test engineer need no longer shake the  dice when determining the accuracy of a vibration monitoring system. 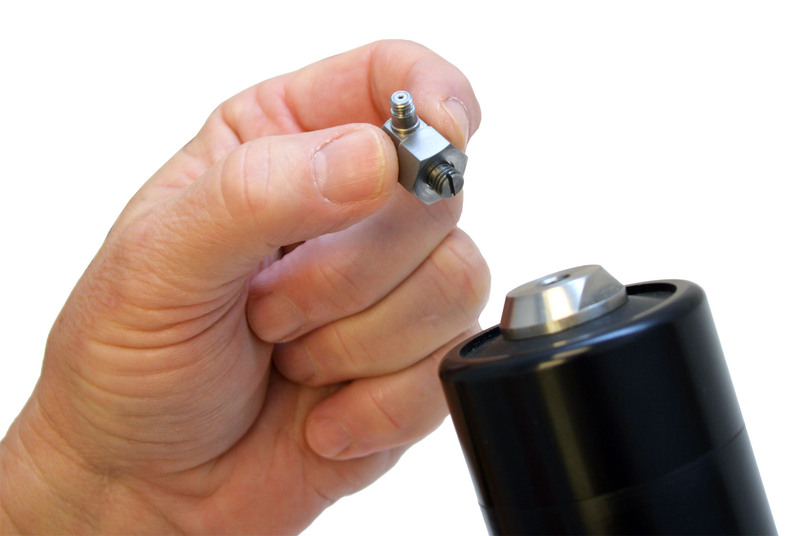 The Meggitt shaker features internal sensor test points which enable a scope to be attached to test the unit itself and provide confidence in the tool being used. It also has an out of range indicator light. As the power source drains, the ability to provide a consistent 1g output reduces so the illumination of the out of range indicator can occur if the battery power available is not sufficient to provide enough gain to boost the output signal to the required level or if the sensor is over 250 grammes. The choice is made by switching the frequency between 61.4Hz, 100Hz and 159.2Hz. 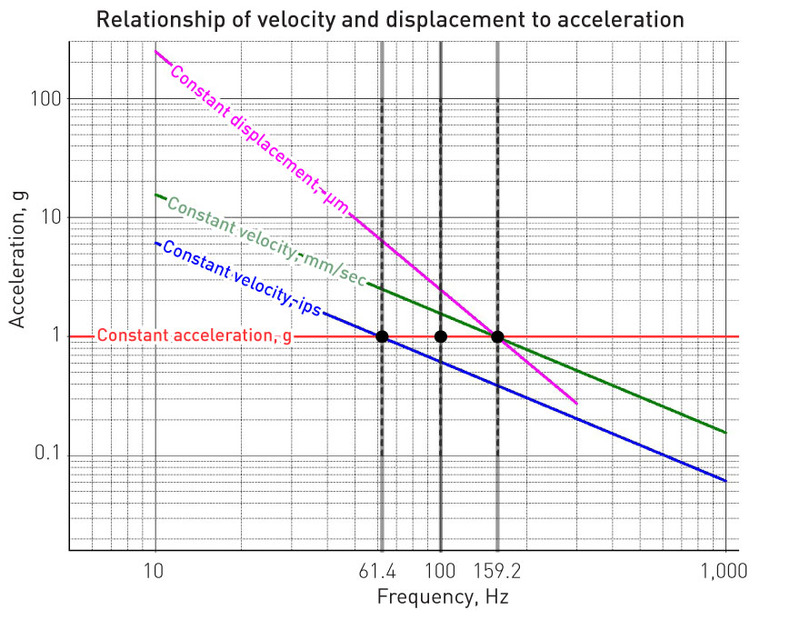 The lower frequency delivers 1g in an imperial constant velocity system and the higher frequency delivers 1g in a constant displacement or constant velocity metric system, both of which provide the easiest sets of parameters for engineers to work with. 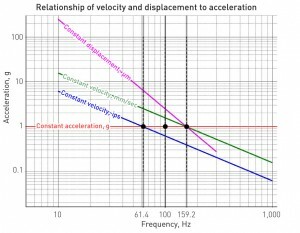 The 100Hz frequency value is less easy to work with but is the value which corresponds to the calibration certificate which is supplied by the accelerometer manufacturer. Using a handheld shaker involves dismounting the accelerometer from the machine it’s monitoring and re-attaching it to the shaker and there are many ways in which this can be done. Attachment kits are provided in a variety of configurations with threaded imperial or metric adaptors, magnets, angled adaptors and plates for adhesive mounting. The use of handheld reference sources isn’t limited to the industrial technology market but also more widely in the crash and vibration testing industry for one-off testing rather than permanent machine monitoring. The test industry demands are different but arguably just as demanding in terms of the importance of test accuracy. Often, test and measurement users are engaged in one-time, no-repeat opportunities and there’s an imperative to “get it right” first time with no opportunity for retesting. These tests are usually linked to large facility scheduled maintenance activities which are run on tight schedules or to one time only tests, a prime example being in the aerospace industry. Flight tests often involve high value no-repeat tests incorporating large arrays of accelerometers. These stringent tests are continually becoming more hungry for data and require more test channels and typically hundreds of accelerometers. Apart from checking the chain of measurement at 1g, the shaker is also able to verify the configuration of sensor matrices in such complex systems of measurement as used in data intensive crash testing environments. The handheld vibration reference source brings another element of the laboratory into practical engineering environments, enabling test and quality engineers to verify the processes they’re using to measure vibration whether in one-shot critical test environments or long-term machine reliability applications. With the cost of getting it wrong so high, very portable and relatively accessible tools such as the vibration reference source could prevent significant downtime and costly errors.